The mathematical technique of Monte Carlo, as applied to the transport of sub-atomic particles, has been described in numerous reports and books since its formal development in the 1940s. Most of these instructional efforts have been directed either at the mathematical basis of the technique or at its practical application as embodied in the several large, formal computer codes available for performing Monte Carlo transport calculations. This book attempts to fill what appears to be a gap in this Monte Carlo literature between the mathematics and the software. Thus, while the mathematical basis for Monte Carlo transport is covered in some detail, emphasis is placed on the application of the technique to the solution of practical radiation transport problems. This is done by using the PC as the basic teaching tool. This book assumes the reader has a knowledge of integral calculus, neutron transport theory, and Fortran programming. It also assumes the reader has available a PC with a Fortran compiler. Any PC of reasonable size should be adequate to reproduce the examples or solve the exercises contained herein. 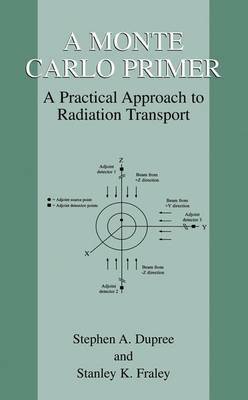 The authors believe it is important for the reader to execute these examples and exercises, and by doing so to become accomplished at preparing appropriate software for solving radiation transport problems using Monte Carlo. The step from the software described in this book to the use of production Monte Carlo codes should be straightforward. Oppenheimer And The Manhattan Project: Insights Into J Robert Oppenheimer, "Father Of The Atomic Bomb"